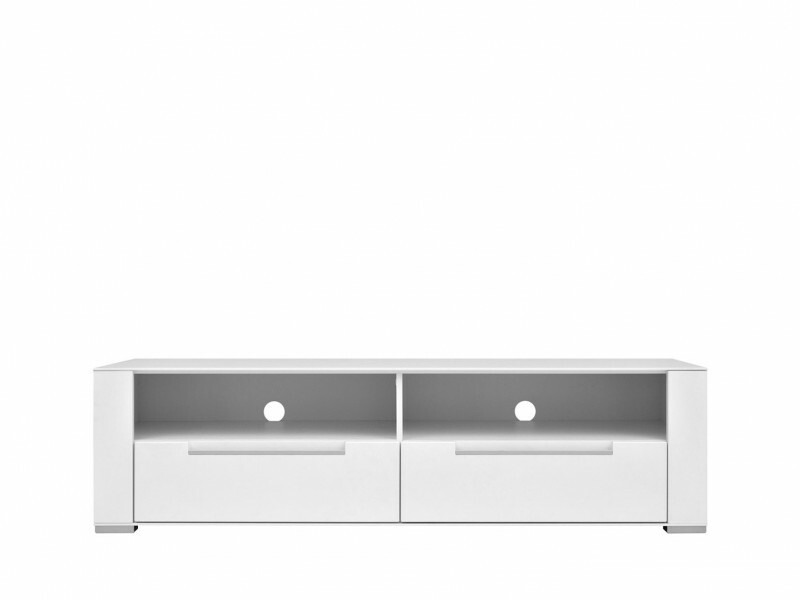 - Dinaro is a collection created especially for modern living rooms. 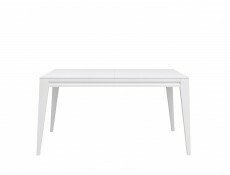 - Straight lines and universal white colour of the Dinaro collection have been created for all modern minimalism fans. 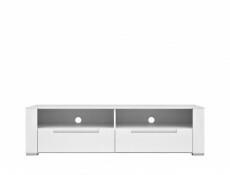 - Small TV stand from Dinaro collection is an essential element of any multimedia room. 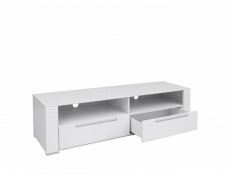 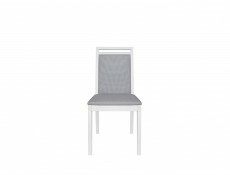 - Compact size of the piece will work well in any interior. 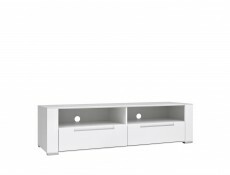 - Functional TV stand is available in the elegant white colour, which creates a unique character of the space and makes them visually bigger. 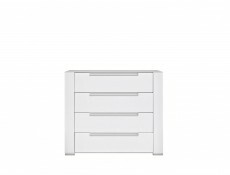 - The simple shape is contrasted with large side slats. 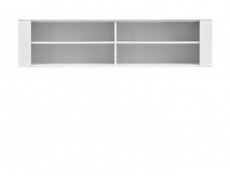 - The open shelves provide space for all your multimedia devices, ensuring easy access. 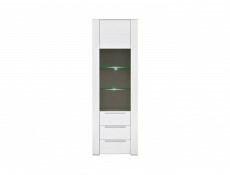 - The vents in the back wall of the stand help to organise the cables and allow free flow of air around the electronic devices. 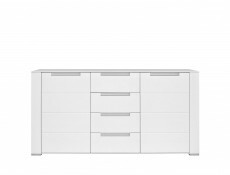 - Two practical drawers provide a discreet storage space. 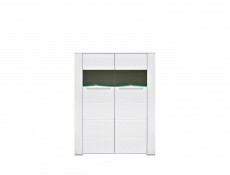 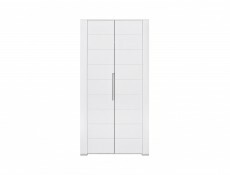 - The drawers equipped with professional slides with silent closing system ensure a reliable convenient front closing. 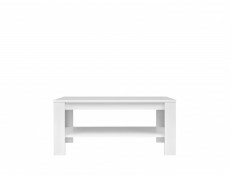 - The surface of the furniture is easy to clean.